“There was a period of time where a small amount of money moved from the casinos for purse supplements, and that was hopeful. 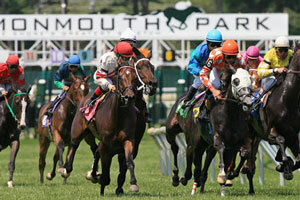 It wasn’t driving large crowds into racetracks, but it was allowing for the racetracks to pay out purses that allowed our horsemen to stay in business,” said Assemblyman John Burzichelli (D-Gloucester), who sponsored legislation to extend the purse supplements and to allow sports betting. New Jersey also saw drops in the number of horses bred and the amount of breeder financial incentives, which in other states are supported by gaming revenues. Nineteen preserved horse farms were sold between 2010 and 2014, and the Rutgers report found last year that another 12 — amounting to more than 1,000 acres — were on the market (mostly the former Perretti Farms land).